Zela’s ability to find common ground and help groups work together enables productive ongoing partnerships. Her experience spans schools, local government, local businesses, welfare groups, and environmental organisations. Zela’s persistence and attention to detail ensure her hands-on environmental events are enjoyable and inspirational. She was able to effectively plan how to roll out the projects on time and our team completed School Environmental Management Plans (SEMPs) with many schools in South East Queensland. During Zela’s role as an environmental consultant to schools in the Earth Smart Science program, she was able to draw upon her credibility with environmental and natural resource management groups and the Indigenous community to achieve notable results. One aspect was event planning, putting together inspirational whole-day events including tree-planting, biodiversity protection and river care with a broad range of participants. Consultancy to schools helped client schools reduce power costs, reduce vandalism and boost organisational morale. Zela learned from her mentors about the use of traditional bush tucker foods, and is a self-confessed “Bunya nut”. The “Bunya nut” is a nutritious wild food from the cone of the large native tree, Aracauria bidwilii, or boonyee-boonyee. The large crops borne by these trees enabled the gathers of large groups of Indigenous people in former times. 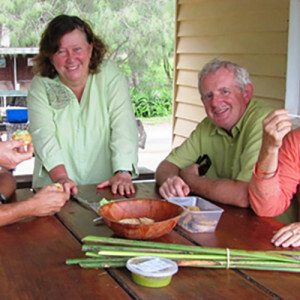 Participants tasting pesto made from wild bunya nuts. Zela has been a keen gardener since childhood and loves being outside. After reading the classic Permaculture One, by David Holmgren and Bill Mollison, Zela completed a Permaculture Design Course with Lea Harrison at Tyalgum and is a member of the local Permaculture group. 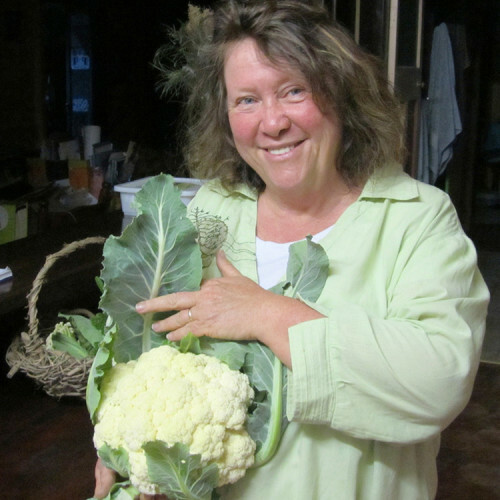 She donates seed from open pollinated heritage vegetable varieties which she grows with her partner, Glen. Their backyard garden supplies most of their vegetables and herbs, and is visited yearly by groups wanting to learn about food-growing, composting and seed saving. Friends often drop by for cuttings and garden excess. Following her time teaching on the Aboriginal Community at Cherbourg, Zela maintains her ties with the elders and Aboriginal Council. During her time there, senior women in the community were distressed by the cutting of some of the remaining large Bunya trees, major food source and cultural icon. In her role of Science facilitator, she facilitated three yearly plantings of Bunya Trees in 2010, 2011 and 2012. 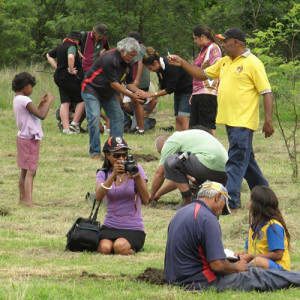 These events included school students from Cherbourg, Murgon and Wondai. The Bunya Mountains Murri rangers, a group of Aboriginal workers auspiced by BMRG were involved with every bunya planting day. The murri rangers also worked with Zela on several other major events including school visits and Sustainable Schools Symposia in several schools in the traditional country of the Wakka Wakka people. In her role as Earth Smart facilitator, Zela put together exciting hands-on activity days where students tested water, planted trees, composed and performed songs, and interacted with a range of scientists and earth carers. Such activity days involving a mix of several schools, natural resource organisations, Aboriginal elders and local government representatives created memorable experiences for students and educators in many towns including Gayndah, Maryborough, Bundaberg and Gympie. 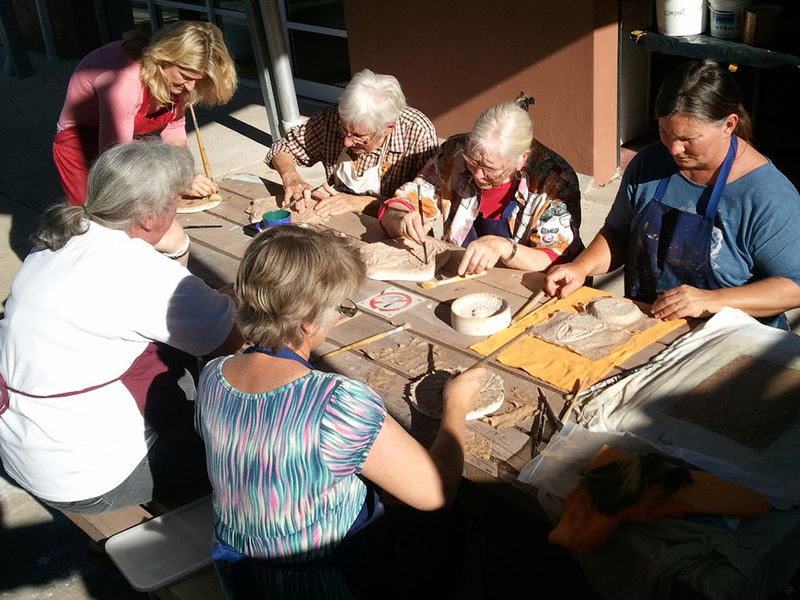 Zela continued this work at Mary Valley State College in 2013, 2014 and 2015. Her success is supported by her great communication skills, inspirational speaking style, strong networks, personal credibility and proven track record in creating memorable and authentic events. 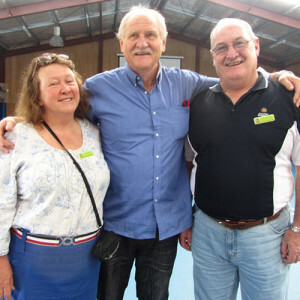 Zela with Kids Teaching Kids co-founder Richard Wood (centre) and Earth Smart Colleague, Peter Menzies at Maryborough Sustainable Schools Symposium, Albert State School in 2012.